The perfect holiday for family and friends. 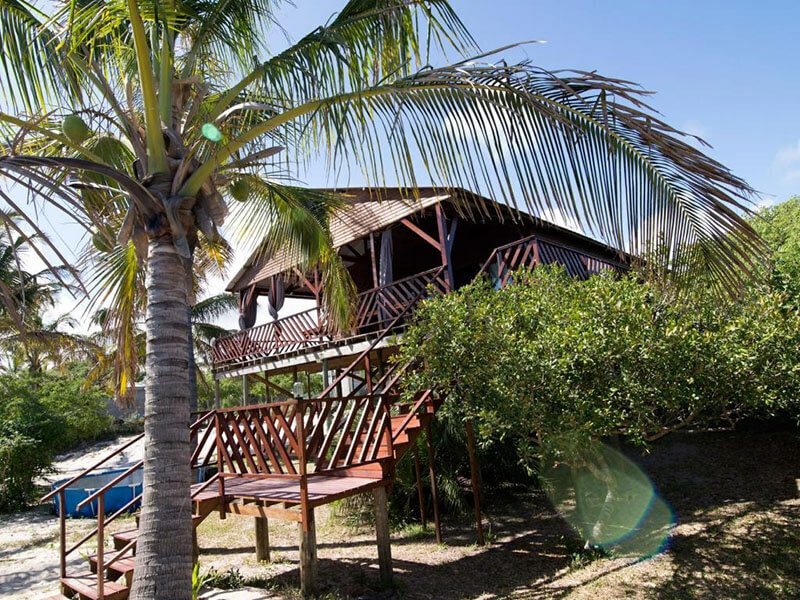 This holiday resort lies along the shores of a large lagoon just outside of Praia do Bilene. 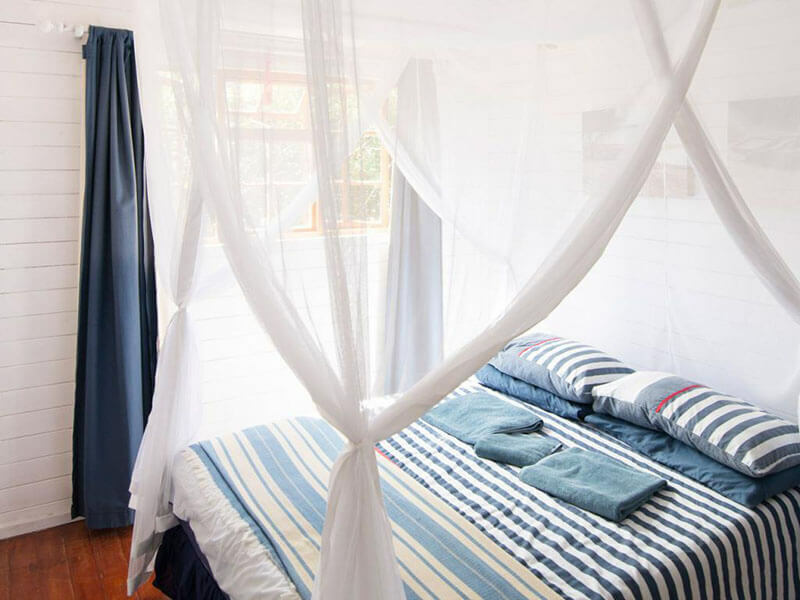 Offering the true out of Africa experience but with all the accommodating creature comforts! 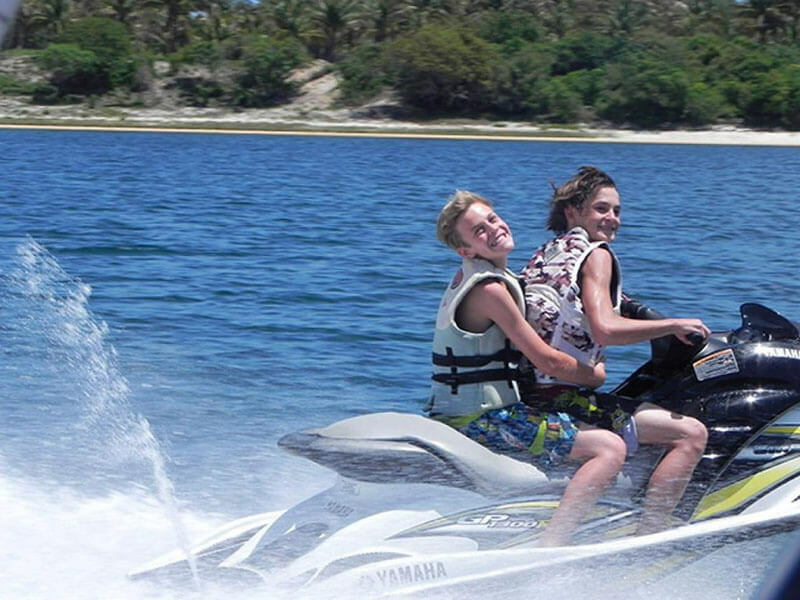 A tropical haven known for its astonishing inland lake, perfect for all water sports. 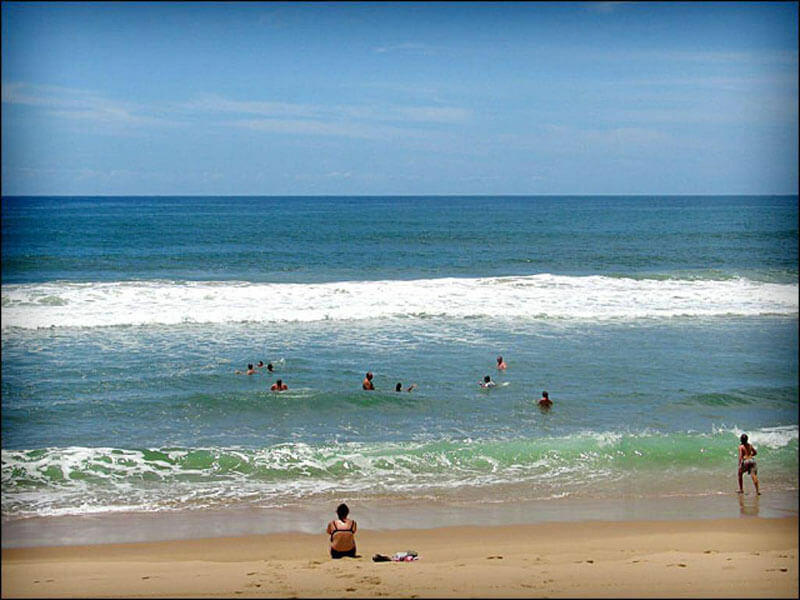 The ocean is a mere ten minutes’ drive, in a 4x4 or quads, as it entails a trip over the dunes. 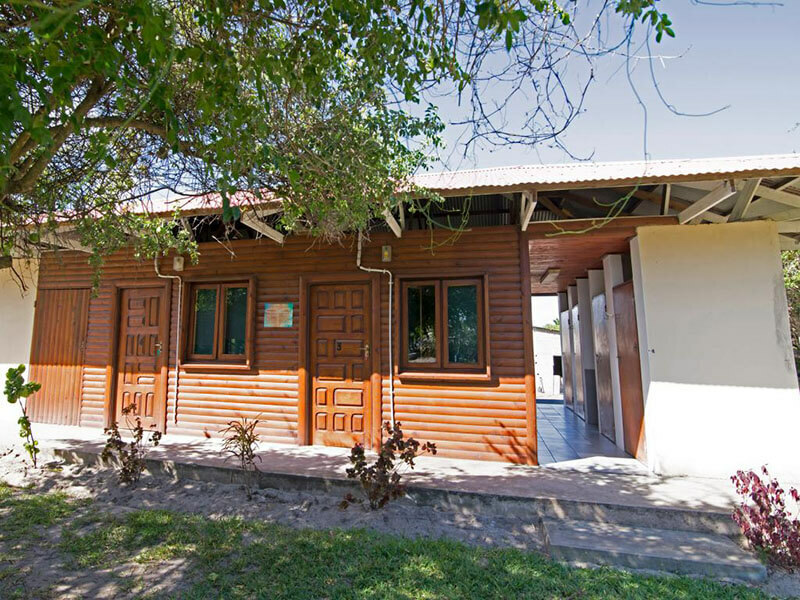 Just in Time Holiday Resort, situated in the beautiful Village of Nhabanga in the breathtaking Gaza Province. Unique in this region, Just in Time offers the true “Out of Africa” experience but with all the creature comforts from home. 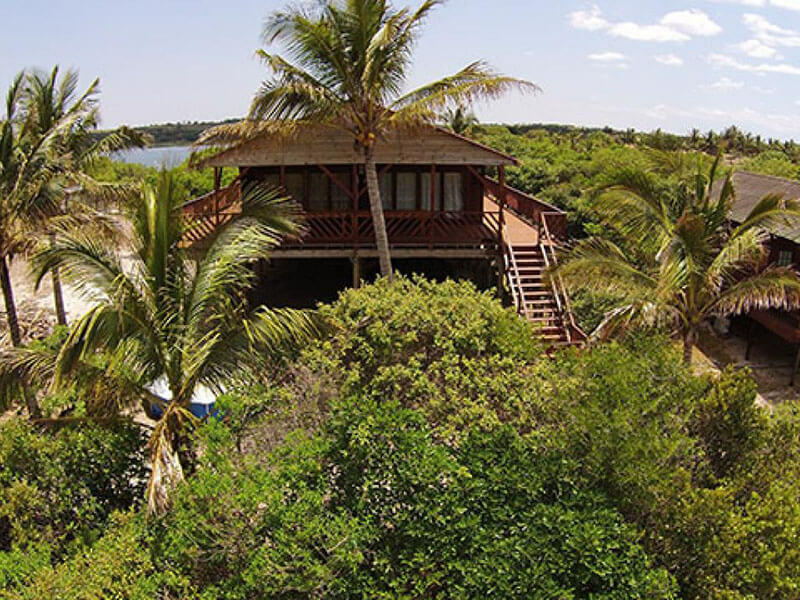 The lush and tropical Bilene Mozambique is known for its astonishing inland lake, which is, at places 5km wide, 14km long and at spots up to 30m deep. Perfect for all water sports and swimming. It is fast becoming a haven for all bird watchers. 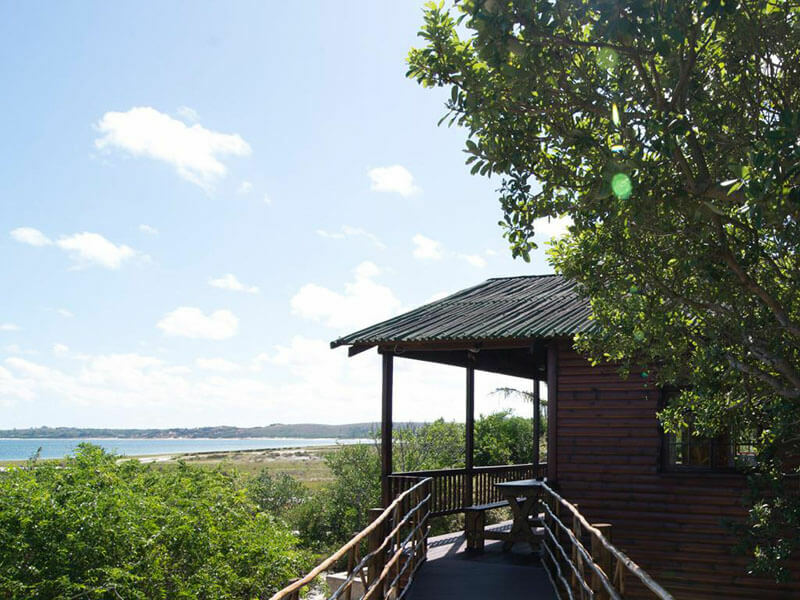 Lake Uembje, also known as the San Martino Lake, lies alongside the warm Indian Ocean and is like a mini-Mediterranean destination in Southern Africa. 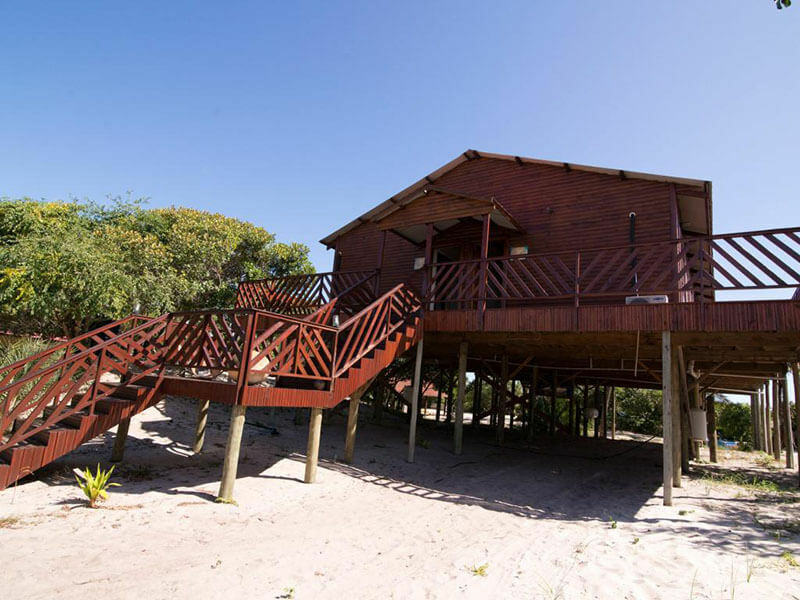 This is really good value for money accommodation in Mozambique. The view from the Just in Time resort is one of breath-taking serenity with lavish flora and an endless white sand lakeside beach to feast the eye on. Enjoying the calm waters of the lake if the rush of the ocean is not your scene, is a bonus for parents with youngsters or toddlers. The lake gently slopes from shallow to deeper water. The ocean is a mere ten minutes drive from Just in Time and requires a 4×4 and/or quads, as it entails a trip through the back-trails and over the dunes. 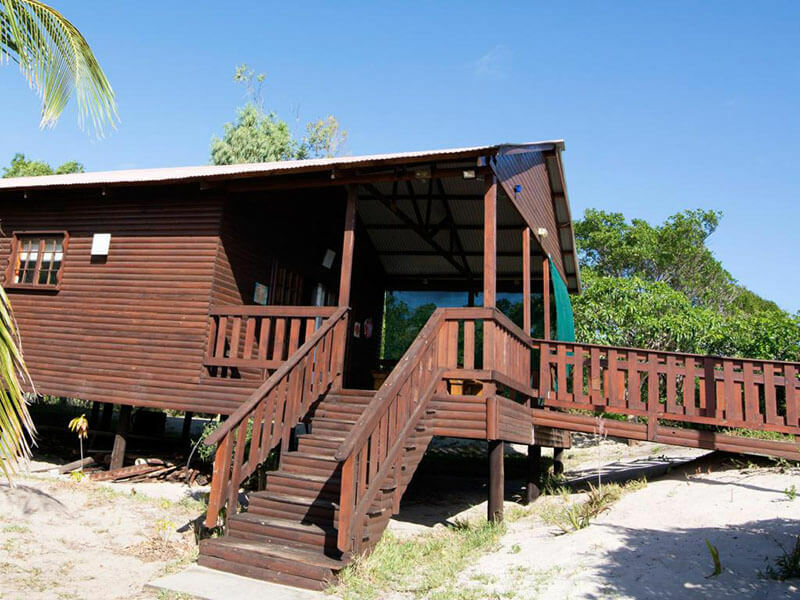 Here you can enjoy a stretch of prime white beachfront without the interruption of crowds. However, this is still an unspoilt beach. There are therefore no lifeguards or shark nets present. 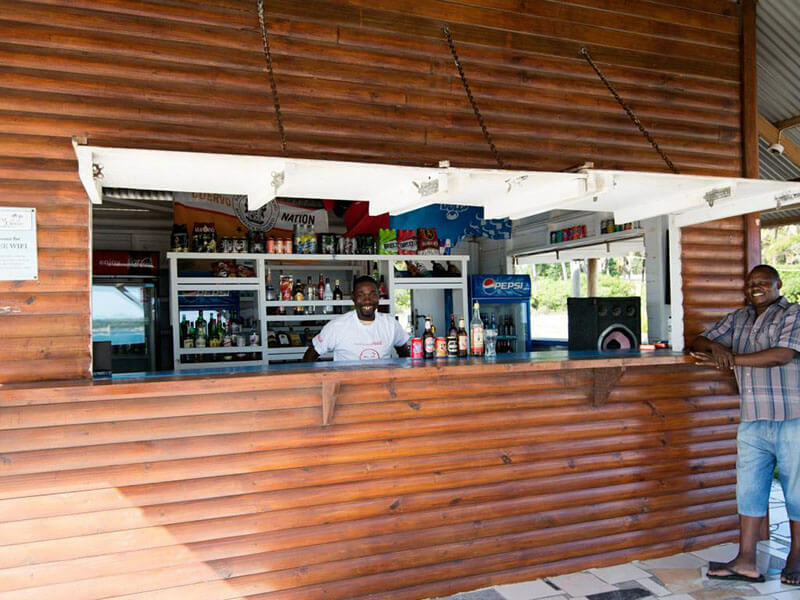 Take a short walk from your room to the famous Bilene Coconut Bar right on the beach and meet the locals, while enjoying a refreshing Mozambican Beer or a delicious R&R. 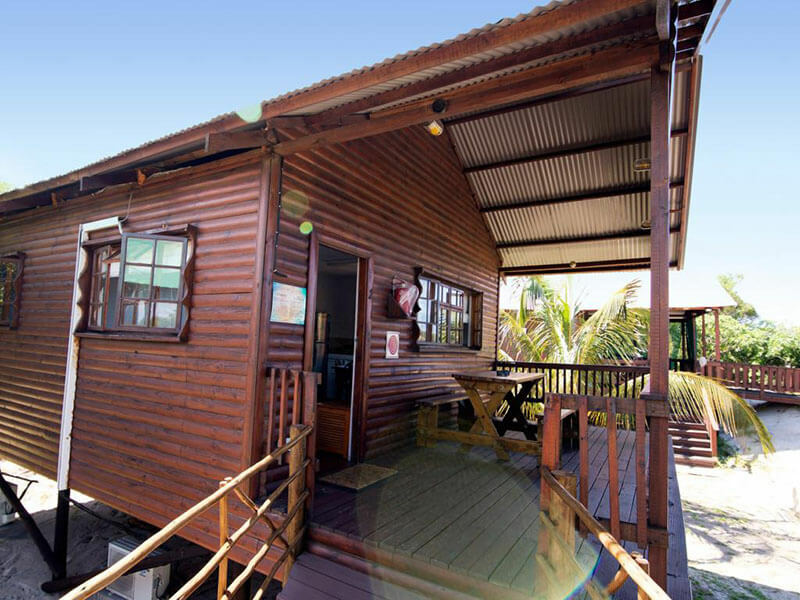 The lodge has full-time electricity and an onsite generator in case of power failure. 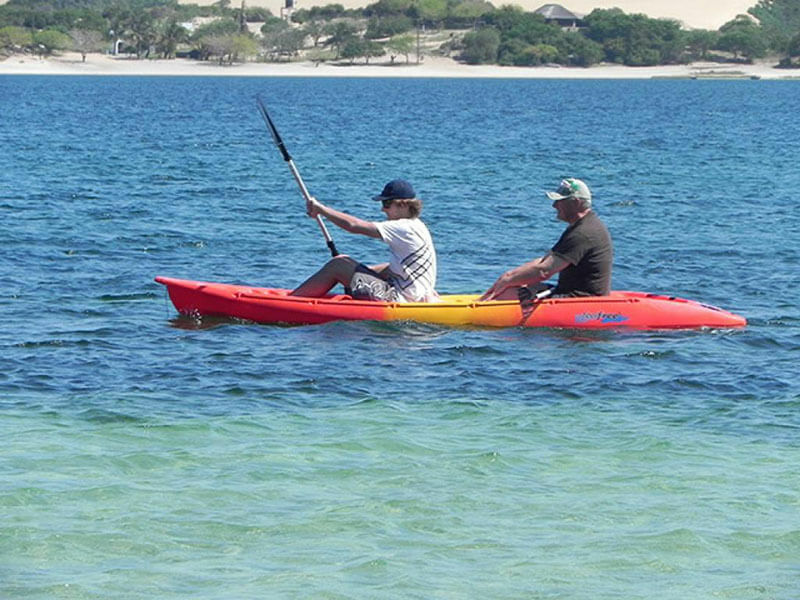 Activities are listed below, but other activities such as deep sea fishing, windsurfing, kite surfing, fishing, ferry-trips, curio-shopping, 4×4 excursions, kayaking, snorkelling and scuba diving are allowed but not offered as a service by Just in Time. Information can be given as to where these activities are available within the immediate regions, and the friendly staff are allways willing to help book these activities in Bilene. The Resort is located just 680km from Pretoria. The roads are in many cases in better condition than the roads in South Africa. Travel is by tarred road into Praia do Bilene and then approximately 11 km of cross country sandy road easily traversed with any 4X4 and All Wheel Drive vehicle.